Ready to refresh your beauty routine for sping? Meet Mineral Air. Mineral Air is the next generation of mineral makeup. This is a totally new make-up experience that makes even, smooth, glowing skin as easy as the touch of a button. 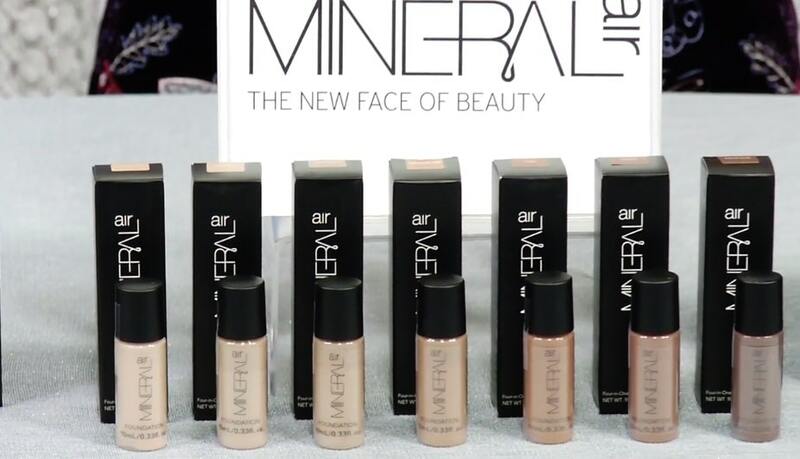 Mineral Air re-engineered two amazing technologies: mineral makeup and professional airbrush — and combined them into a breakthrough two-part system. It’s a portable, rechargable air mist device that gently mists micronized mineral foundation right onto skin with no need for brushes or sponges. The foundation works as the ultimate multi-takser. Replaceing the need for primer – concealer – hydrator — and color – so say goodbye to heavy layering on your skin and cluttering up space in your bathroom. Mineral Air is so easy to use –there are no cords or cartridges. You can apply it in just seconds for flawless foundation every day instead of waiting for a special occasion. And even though it’s lightweight – you’re still getting excellent coverage to hide brown spots, redness, and dark circles. It contains skin loving and hydrating ingredients including hyaluronic acid and botanical extracts. Get rid of those traditional products with nasty ingredients like parabens – dyes –artificial fragrances and fillers. On top of that, it’s vegan and cruelty free. Get a luminous – even complexion no matter your age or skin type. For more information visit mineralair.com.